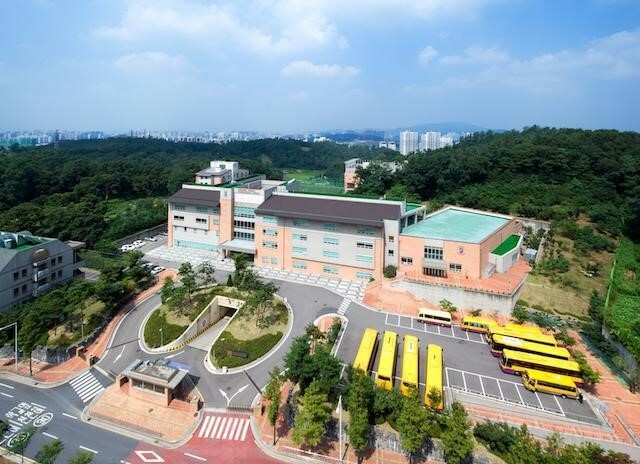 Gyeonggi Suwon International School (GSIS) is an IB World School authorized to offer International Baccalaureate programs to students in pre-Kindergarten through grade 12. GSIS is divided into two sections: Lower School (pre-Kindergarten through grade 5) and Upper School (grade 6-12). GSIS is proud to be an IB World School and a Christian International School. The goal of GSIS is to provide a quality educational environment in which each student's gifts of intellect, personality, stature, and spirit are given the best opportunities for development toward maturity. GSIS bases its philosophy on basic Christian beliefs. GSIS is a sister school of Taejon Christian International School, and was founded by Dr. Penland in 2006, who is currently the Head of School at TCIS and Founder at GSIS. 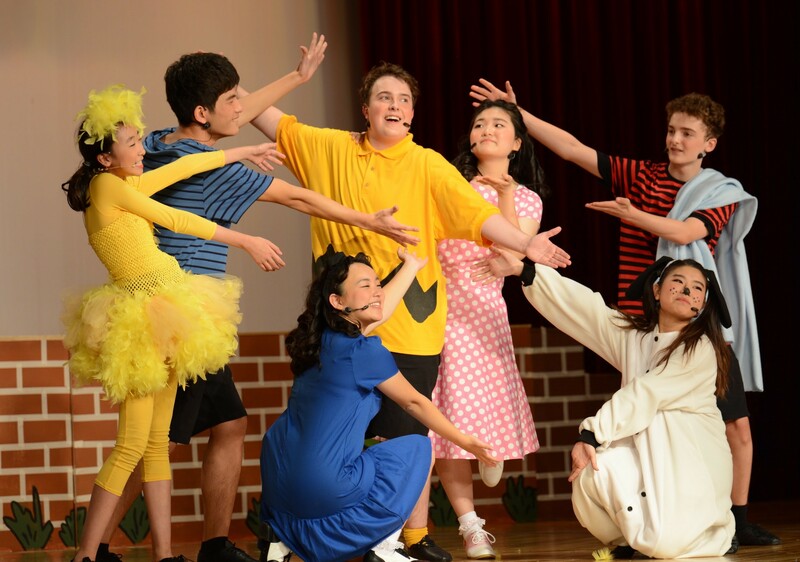 GSIS is an independent, not for profit coeducational day school located in Suwon, South Korea with a current enrollment of 424 students representing 25 different nationalities. Less than thirty percent of the enrollment are Korean national. GSIS employs 73 faculty members of which over 50% have advanced degrees and come from eight different countries. GSIS is a growing, dynamic, international community, that opened its doors in 2006, with the purpose of providing a high quality international education for foreign children in Korea. GSIS is accredited by the Western Association of Schools and Colleges (WASC) and is also authorized and member of the International Baccalaureate Organization (IBO) to offer the Primary Years Program (PYP), the Middle Years Program (MYP), and the IB Diploma Program (DP). GSIS is an active member of the Association of Christian Schools International (ACSI), the East Asia Regional Council of Overseas Schools (EARCOS and the Korean-American Interscholastic Activities Conference (KAIAC). GSIS maintains membership status with the Korea Council of Overseas School. 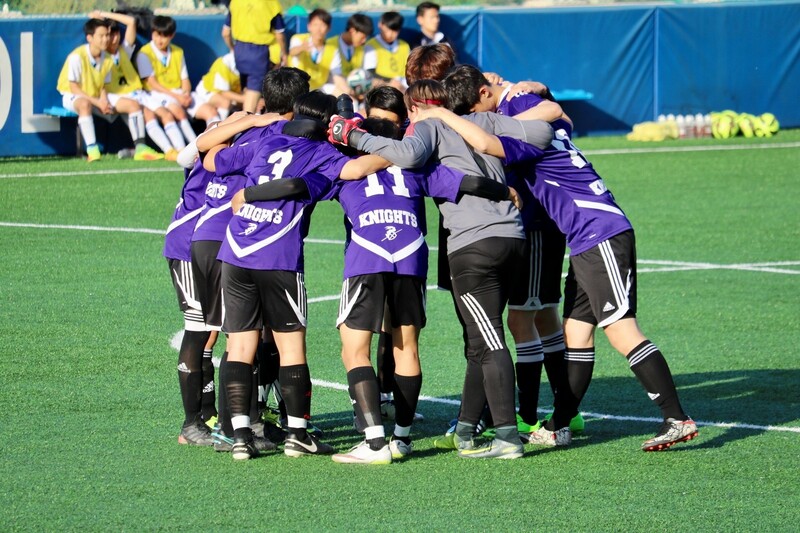 Gyeonggi Suwon International School provides international students a high quality internationally based education within a Christian environment utilizing positive educational experiences and biblical foundations for spiritual growth. The GSIS mission review task force has reviewed and renewed the current GSIS mission for the 2019-2020 school year which will commence in August of the 2019 school year to: “GSIS cultivates internationally minded learners to lead and serve for the glory of God”. Because each student is recognized as a person made in the image of God, Christian education should foster self-respect and self-worth as well as respect and esteem for others. 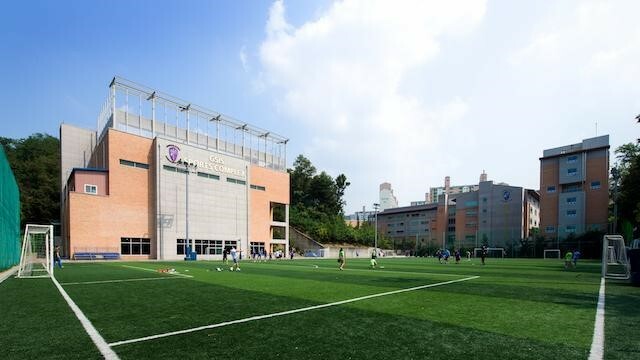 For this reason, the goal of Gyeonggi Suwon International School is to provide a quality educational environment in which each student’s unique gifts of intellect, personality, stature, and spirit are given the best opportunities for development toward maturity. GSIS bases it philosophy on basic Christian beliefs. GSIS is truly a caring international school with a strong sense of community. The GSIS parent community (PTA) is active and supportive and initiates a myriad of activities and events that celebrate school life and supports social events. GSIS provides regular workshops and parenting sessions that encourage parent involvement in the school. GSIS is located in Suwon, which is a “green city” with an abundance of hiking trails, bike paths, parks, and tantalizing restaurants that help make life fun and adventuresome. Suwon is known also to be one of the safest cities in the world. Shopping is convenient with first rate shopping centers such as Home Plus, Costco, E-mart and Lotte Mart all located nearby. Transportation to Seoul and the outlying areas of Korea is easily accessible with buses and subway lines located nearby. International churches are easily accessible and are encouraged for the GSIS community. GSIS is located also only 20 miles from Pyongtaek and is home to the largest US military base in the world. Suwon is also home to many professional sports teams such as soccer, baseball and basketball. Life in Suwon is safe, clean, active and full of energy! GSIS enjoys an idyllic surrounding of six acres that is nestled near the countryside, yet close proximity to the city. The school enjoys a large auditorium, with includes facilities for makeup, costumes and a drama classroom. GSIS also enjoys state-of-the-art Sports Complex that includes two gymnasiums, a high quality turf soccer field, dance room, two tennis courts, well-equipped heated swimming pool with natural light. GSIS also enjoys two beautiful libraries for lower and upper schools, spacious science labs, design technology classrooms, visual and performing art facilities and a cafeteria with a healthy selection of both Korean and Western food. The Secondary School Principal serves as Chief Administrator of the Secondary School division (gr. 6-12) at GSIS and has overall responsibility for the day-to-day operation of this division of the school. The Secondary School Principal reports directly to the Head of School at Gyeonggi Suwon International School. The Principal is responsible for the delivery of Christian international education through the IBMYP and IBDP programs at GSIS. Currently the Secondary School division has 106 students in the Lower Secondary School-LSS (gr. 6-8) and 149 students in the Upper Secondary School-USS (gr. 9-12) for a total enrollment in the Secondary School of 255 students. The Secondary School Principal effectively directs school program, including academics; spiritual, co/extra-curricular, and community service programs. The Secondary School Principal fosters a challenging educational environment that strives to support, care for, and nurture each student and helps develop each student’s academic, moral, spiritual, physical and emotional growth. The Secondary School Principal sets a standard of excellence for all aspects of the School’s program, including supervising and working with IBMYP and IBDP coordinators and Heads of Departments to develop curriculum. The Secondary School Principal is responsible along with the Head of School for attracting, recruiting, motivating and supporting an outstanding and diverse faculty. The Secondary School Principal plays a leadership role in admissions. The Secondary School Principal plays a role in the accreditation process and helps to ensure the school’s professional standing. The Secondary School Principal fosters a positive and safe school environment for the entire GSIS community. The Secondary School Principal is responsible to nourish a healthy, and collaborative relationship with the secondary school division of Taejon Christian International School (TCIS). 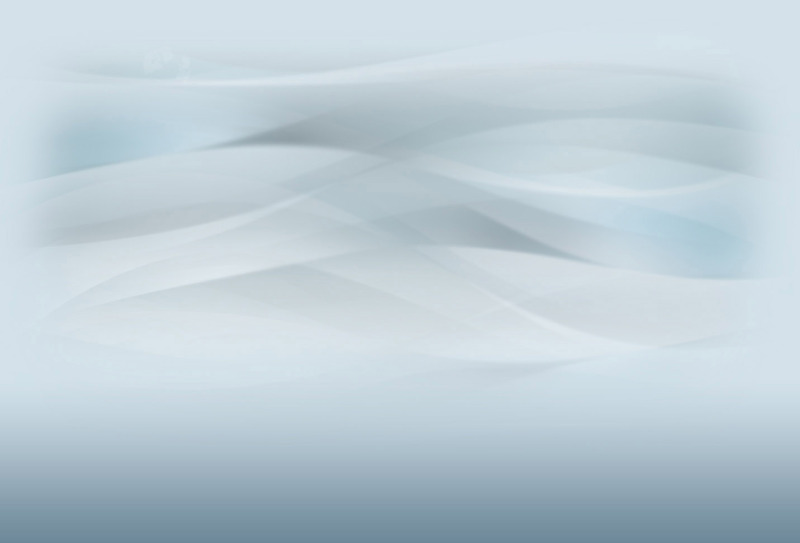 The Secondary School Principal oversees the Secondary School Division’s budget and financial management, including annual budget formulation, stewardship of resources, planning and financial forecasting and reporting of division resources and needs. The Secondary School Principal assists with the oversight of the maintenance and enhancement of the buildings, grounds, equipment and facilities at GSIS that are used by the Secondary School division for the delivery of the Secondary School educational programs. The Head of School works with the Head of School to identify capital, staffing and faculty requirements needed for the Secondary School Division to achieve its division program mission. 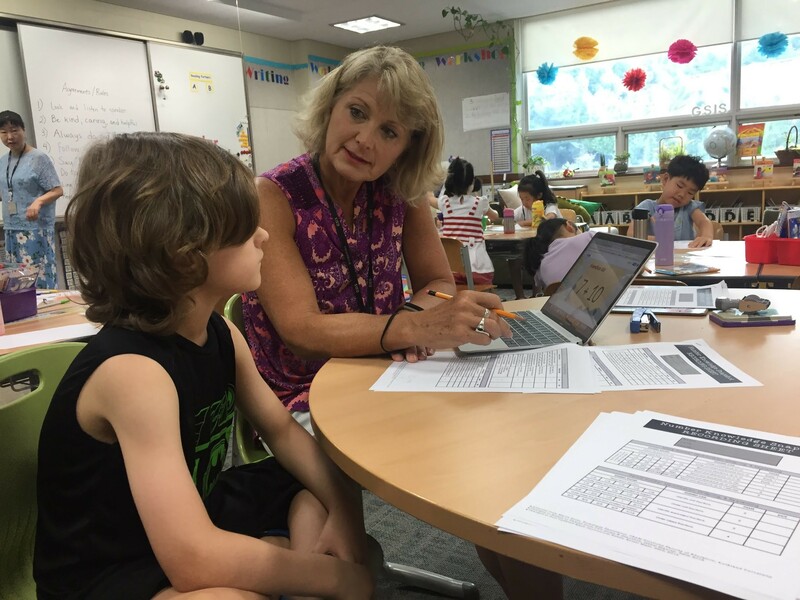 The Secondary School Principal works with the Head of School and provides guidance on long-range strategic planning and implements GSIS Secondary School directives and policies. The Secondary School Principal maintains an environment of openness and trust, recognizing the needs, concerns and expectations of students, faculty and staff, parents and the wider GSIS community. The Secondary School Principal represents and promotes GSIS in the Suwon community, Korea, East Asia through various strategies. The Secondary School Principal also represents and promotes GSIS to its various school constituencies, including students, employees, parents, alumni, friends, throughout the GSIS community. Required: Strong spiritual Christian leader, graduate degree and/or administrative certification, successful experience as principal/dean and/or assistant principal/assistant dean. Desired Characteristics: The preferred candidate will be able to understand, respect, value, and appreciate the unique and special nature of the Korean culture. The GSIS School Founder and the Taejon Christian International School Board of Trustees has appointed Search Associates as its partner in its search for the Secondary School Principal with Dr. Brent Mutsch serving as the lead consultant. The deadline for applications for the position is March 1, 2019. Candidates are asked to submit a letter of interest and the requested materials listed below as early as possible as the Search Consultant reserves the right to close the selection process at any time if the right candidate is identified. The review of files will begin as soon as applications are received. Finalists will be selected by the Search Consultant and at least three finalists will be identified and files sent to the GSIS School Founder for a final interview and selection and appointment of the candidate chosen. A letter of application, explaining your strengths as a candidate and why you are interested in the Secondary School Principal position at the Gyeonggi Suwon International School. A statement describing your management and educational philosophy, not to exceed two pages. A maximum of four letters of reference (scanned at low resolution) that may already be in your possession. Total document size should be kept to less than four (4) MB if possible. Applications should be sent to: bmutsch@searchassociates.com. Additional information about Gyeonggi Suwon International School can be found on the school’s web site at: www.gsis.sc.kr.